The name of the blue monkey has ignited the flame of curiosity amongst most population. It is not the body that is blue colored; rather the face is somewhat of a blue shade. Moreover there is no trace of any kind of facial hair. We detail the species in this article. 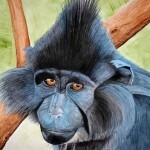 Some beautiful pictures of blue monkeys have been presented for the reader’s interest. These monkeys are also known as the diademed monkeys due to the presence of white colored fur on their bare faces. 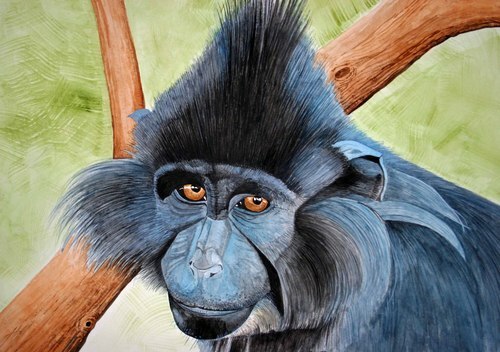 The other names of blue monkeys are the Samango golden monkey &Skyes. These species are very social by nature. This socialization helps them to get additional fortification against their enemies. When threatened they form a group with the red tailed monkeys. These species are mostly found in rainforests regions of Northern, Southern and Central Africa. These can also be spotted in the Congo region of Africa. 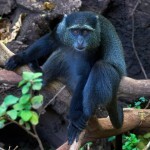 Size of Blue Monkeys: Barring the tail, the body size of these species varies from 50 to 65 cms long. 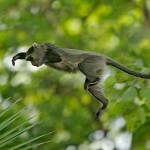 Weight of Blue Monkeys: The weight of the males is about 8 kg while the females weigh somewhat around 4 kgs. The male blue monkeys are slightly larger than the females. Tail of Blue Monkeys: The tail of these species is pretty long. The size of the tail is almost equivalent to the total body length. Color of Blue Monkeys: The whole body of these species is either grey or olive in color dotted with white marks. The head of these species are comparatively darker. These species are very popular amongst the animal lovers. Their clans consist of a single powerful male. It is seen that the males usually join the group of the elders while the females continue to stick with the original group. The males usually mate with several females in the clan. The males normally do not take care of the babies and hence the younger females usually take care of the offspring. These species also indulge in alloparenting. However, this is not abnormal for several alloparents to take care of the babies. These species always indulge in playing and prefer to dwell above the grounds. These species can survive properly only when they become a member of a specific community. Defeating the most powerful of them helps them to achieve this situation. Blue Monkeys like to have fruits and figs in their diet. They also thrive on insects, flowers and leaves as well. If case of sudden scarcity of food, these species can also feed on the bark of trees. These species like to dwell in evergreen forests, forest canopy or the bamboo type forests. 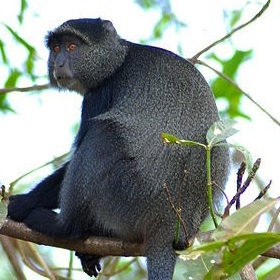 These monkeys mainly prefer humid areas but seldom step on earth from the tree tops. These species do not like to come on the ground unless they need food. The females take the responsibility to attract the males. For this they extend the lower portion of the lip or pout. It is generally during the periods of mating that the females behave in such a manner. 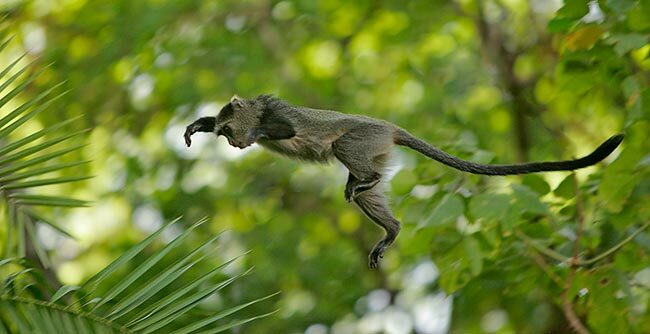 The female monkeys generally give birth to a single baby. The juvenile ones get sexually matured at the age of 3. One of the most interesting things to see is the females nursing their offspring. Mothers who lose their offspring usually become adamant and try to grasp other baby monkeys. 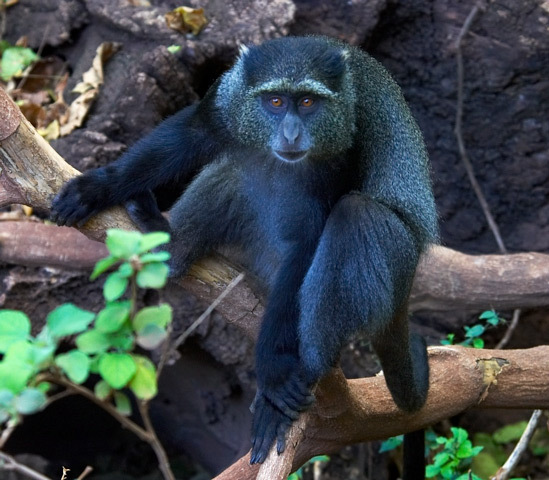 Cercopithecusmitiselgonis: This specific sub specie is also known as Elgon Blue Monkey. On an average, these species have 20 years of approximate life. These species are not in the list of the threatened. However, the population is at stake because they are hunted frequently for bush meat. Reportedly the villagers have them as meat in their diet. The loss of habitat is also making their lives uneasy.